With the year 2019, we have made our entry to a whole new calendar an official move. In several ways, nothing will change from the things we experienced last year. However, a massive chunk of this change depends on your will. Such a doable change is modifying your home’s interior décor. As fashion and things change with time, so does the trend for home décor. Breakaway the monotony this year and try something à la mode extraordinaire. Whether you own a small space or a massive house, even a small change can revamp your home’s entire look. Expose yourself to some recreational activities such as redoing the decor of your space with cost-effective DIY methods. Your home is your canvas, get creative or use some of the ideas from the professional team at Shreya Designs to revamp. Here you go with some amazing DIYs to modify your home décor with ease. Nowadays, you can easily see one or the other household investing in a textured wall. In a room with 4 walls, you can add designs and textures to the wall where you want to place your TV or the center of attraction in your room which can be your accent wall and get all the focus. Whether it is your beloved sofa or that amazing chair, you can make it all bright and hippie with some funky colors added with covers. 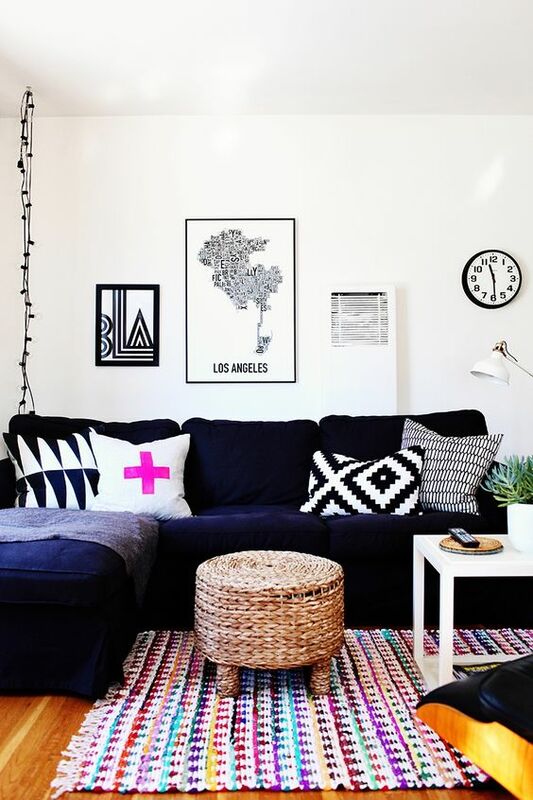 Use sofa covers or cushion covers that are brightly colored to remove the monotonous look of your room. You can also paint one yourself. Get a plain white cover from the market and get started with your artistic skills. Why stick to one boring old rug when you can modify the whole look of the house? 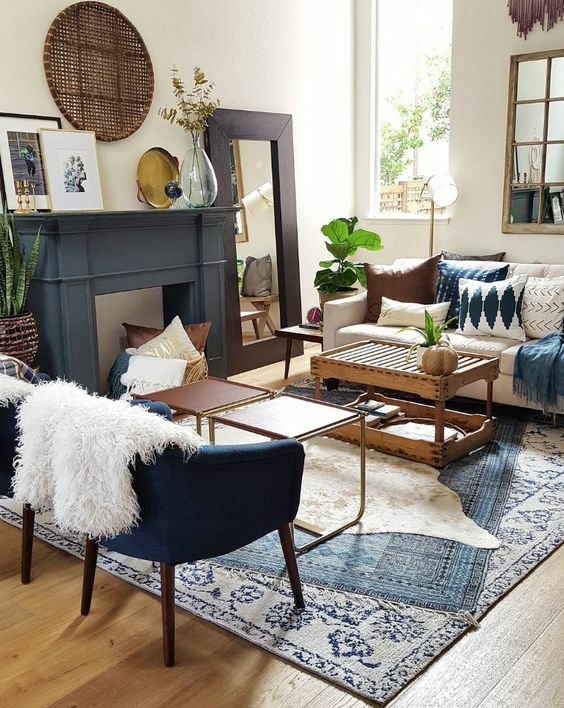 With 3-4 rugs layered over one another in perfect sync, you can easily create a textured look for cozy vibes or use contrasting bright colored rugs in a muted room to set the look of the whole room apart. You can add something much better than pictures or portraits to your wall. Paint some bold patterns to the walls or opt to use the stick-on flowers that look nothing less than real or lovely wall art. If your living room décor isn’t as updated as you would want it to be, adding these patterns and stick-on shall attract your guests without even drawing attention to the incomplete living room décor, moreover it ll add newness to the whole room and take away the boredom. Having an oversized décor item inside your home creates a feeling of the room being gigantic even if it isn’t. So make sure your small bathroom gets one of these oversized mirrors to enhance the feeling of being in a well-spaced place. 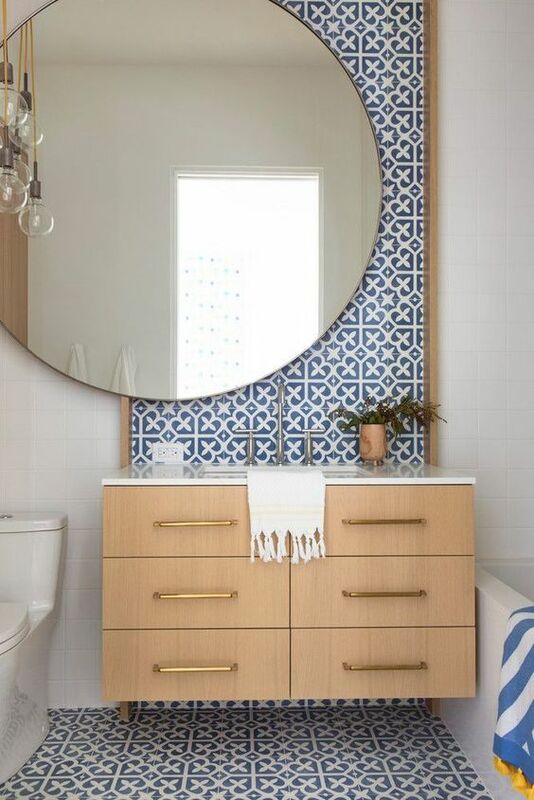 Mirrors, in general, make the space larger and bigger and much more spacious.